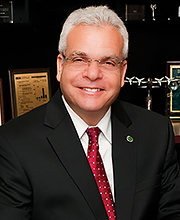 Paul R. Sanberg, Ph.D., D.Sc., is founder and president of the National Academy of Inventors, senior vice president for research, innovation and economic development, Distinguished University Professor of medicine, engineering, and business, and executive director of the Center of Excellence for Aging and Brain Repair at the University of South Florida. He trained at York University, University of British Columbia, Australian National University, and Johns Hopkins School of Medicine with faculty appointments at Ohio University, University of Cincinnati, and Brown University, among others. He is an inventor on 111 patents. His work has been instrumental in translating new pharmaceutical and cellular therapeutics to clinical trials and commercialization for Tourette syndrome, stroke, ALS, Alzheimer’s, Huntington’s, and Parkinson’s disease and he has significant biotech and pharmaceutical industry experience in these areas. He is the author of over 600 scientific publications and considered a highly cited scientist, with more than 23,000 citations to his published work. He has served on editorial boards for over 30 scientific journals, is editor-in-chief of NAI’s journal Technology and Innovation, and has received numerous scientific awards. He is a fellow of AAAS and AIMBE, AAAS-Lemelson Invention Ambassador, Florida Academy of Sciences Medalist, Florida Inventors Hall of Fame inductee and serves on the National Medal of Technology and Innovation nomination evaluation committee, Smithsonian Innovation Festival selection committee, and APLU Commission on Innovation, Competitiveness, and Economic Prosperity advisory board. He is a Charter Fellow of the National Academy of Inventors. Howard J. Federoff, M.D., Ph.D., received his M.D. and Ph.D. degrees from the Albert Einstein College of Medicine in New York City. Following clinical training in Internal Medicine and Endocrinology/Metabolism and a post-doctoral fellowship in molecular neurobiology at Harvard Medical School’s Massachusetts General Hospital he joined the faculty of the Albert Einstein College of Medicine. In 1995 he joined the University of Rochester faculty. During his tenure at Rochester, he founded the Division of Molecular Medicine and Gene Therapy, the Center for Aging and Development and also served as Senior Associate Dean for Basic Research. In 2007 he joined the Georgetown University Medical Centers as Executive Vice President of Health Sciences and Executive Dean for the School of Medicine. His research is on novel treatments for neurodegenerative diseases. He serves on four editorial boards, two foundation boards, has chaired NIH Study Sections, was a member of the Board of Scientific Counselors of National Institute of Dental and Craniofacial Research, was a member of the National Institute of Neurological Disorders and Stroke (NINDS) Scientific Advisory Committee, Co-Chaired the NINDS strategic planning process, and was Chair of the NIH Recombinant DNA Advisory Committee. He has published numerous papers, chapters and editorials and received a number of awards including the Arthur Kornberg Research Award, Society for Neuroscience Grass Lectureship, Abreu Memorial Lectureship, induction into Alpha Omega Alpha, Bernard Sandberg Award, and election to the AAAS. He has co-founded two biotechnology start-up companies and has been awarded numerous patents. He and his wife Wendy Solovay, an immigration attorney, reside in Irvine California. Their two daughters, Allison and Monica, are pursuing careers in law and medicine, respectively. He is a Fellow of the National Academy of Inventors. 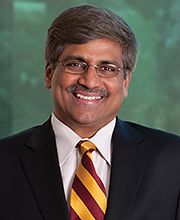 Sethuraman “Panch” Panchanathan, Ph.D., leads Knowledge Enterprise Development at Arizona State University, which advances research, innovation, strategic partnerships, entrepreneurship, and international and economic development at ASU. He is a fellow of the National Academy of Inventors (NAI), the Canadian Academy of Engineering, and the Institute of Electrical and Electronics Engineers (IEEE). In 2014, Panchanathan was appointed by President Barack Obama to the U.S. National Science Board (NSB) and has been appointed to the National Advisory Council on Innovation and Entrepreneurship (NACIE). 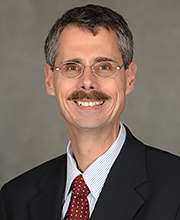 He is currently serving as the chair-elect in the Council on Research (CoR) within the Association of Public and Land-grant Universities (APLU). At ASU his achievements include founding the Center for Cognitive Ubiquitous Computing (CUbiC) and serving as the founding director of the School of Computing and Informatics. His research interests include human-centered multimedia computing, haptic user interfaces, technologies for individuals with disabilities and machine learning for multimedia applications. 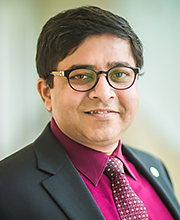 Sudeep Sarkar, Ph.D., is a professor of computer science and engineering and is the associate vice president for research & innovation at the University of South Florida in Tampa. He received his M.S. and Ph.D. degrees in electrical engineering, on a University Presidential Fellowship, from The Ohio State University. He is the recipient of the National Science Foundation CAREER award in 1994, USF Teaching Incentive Program Award for Undergraduate Teaching Excellence in 1997, Outstanding Undergraduate Teaching Award in 1998, and Theodore and Venette Askounes-Ashford Distinguished Scholar Award in 2004. He is a fellow of the American Association for the Advancement of Science (AAAS), Institute of Electrical and Electronics Engineers (IEEE) and International Association for Pattern Recognition (IAPR), and a charter member of the National Academy of Inventors. He has 25 year expertise in computer vision and pattern recognition algorithms and systems, and holds three U.S. patents and has published high-impact journal and conference papers. Karen J.L. Burg, Ph.D., is Professor and Harbor Lights Endowed Chair in the Department of Small Animal Medicine and Surgery at the University of Georgia (UGA). Prior to joining UGA, she served as vice president for research and professor of chemical engineering at Kansas State University. Honors to Karen include the Presidential Early Career Award for Scientists and Engineers, the inaugural Swiss AO Research Prize, recognition as a Massachusetts Institute of Technology’s TR100 Young Innovator, an American Institute for Medical and Biological Engineering Fellow, an American Council on Education Fellow, an International Union of Societies for Biomaterials Science and Engineering Fellow, a Biomedical Engineering Society Fellow, a U.S. Department of Defense Era of Hope Scholar, and an American Association for the Advancement of Science-Lemelson Invention Ambassador. 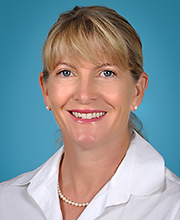 Karen has given over 200 invited presentations and authored over 140 peer reviewed publications on the subject of engineered tissues. She has seven patents issued, fifteen disclosures and/or provisional patent applications recorded, with one patent serving as the basis for a diagnostics company. A Burg invention was one of ten technologies featured in the inaugural Avon Foundation for Women – National Institutes of Health – Center for Advancing Innovation Breast Cancer Start-Up Challenge. 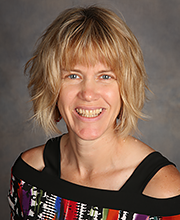 Karen served as the principal investigator for the 2015 National Science Foundation Innovation-Corps L (NSF I-Corps L) Team Flipped Research Mentoring and is a member of the 2016 NSF I-Corps L teaching team. Michelle Anne Delaney, Ph.D., is the Senior Program Officer for History and Culture in the Smithsonian’s Office of the Provost and Under Secretary for Museums, Education, & Research. 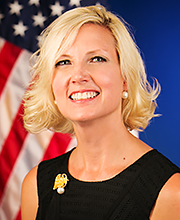 Delaney leads strategic university partnerships and program planning, including the USPTO – Smithsonian collaboration, and manages central support for the nine Smithsonian history and culture museums and research centers. Previously Delaney was Smithsonian Consortia director for Understanding the American Experience, and curator of photography in the Photographic History Collection, National Museum of American History. Delaney is chair of the editorial committee for the 2019 publication Smithsonian American Women’s History 100. An author and editor of several history of photography books, Delaney has also curated more than 20 Smithsonian exhibitions and related web projects. She is a current Board member for the Buffalo Bill Center of the West, and received her History Ph.D. from the University of Strathclyde, Glasgow, Scotland, researching the Art and Advertising in Buffalo Bill’s Wild West. 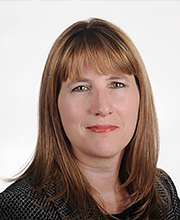 Elizabeth Dougherty is the Director of Inventor Education, Outreach, and Recognition in the Office of Innovation Development at the United States Patent and Trademark Office (USPTO). In this capacity, she develops, implements and supervises programs that support the independent inventor community, small businesses, entrepreneurs and the intellectual property interests of colleges and universities; she supervises the development of outreach programs to women, minority and other underserved communities; she also builds and maintains relationships with state and local governments to promote local programs that support invention and innovation in the United States. Ms. Dougherty has spearheaded a number of special projects with such organizations and oversees a portfolio of ongoing and future initiatives designed to assist independent inventors, entrepreneurs, and minorities. 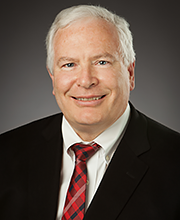 Robert V. Duncan, Ph.D., is vice president for research and a professor of physics at Texas Tech University (TTU). He formerly served as vice chancellor for research at the University of Missouri (MU). He was the Gordon and Betty Moore Distinguished Scholar in the Division of Physics, Mathematics, and Astronomy at Caltech in 2004–2005. He has published extensively in low-temperature physics, and he chaired a panel of the National Academy of Sciences on the Future of Fundamental Physics in Space in 2011. He holds 10 U.S. patents with multiple international filings. In 2004, Duncan co-invented a less-invasive type of percutaneous and intravascular cryosurgery that is currently in human clinical trials and which is based upon a genuinely new cryogenic technology. As an administrator, Duncan has supported innovation broadly within academia, and has started new student entrepreneurial programs at both TTU and MU. He is a Fellow of the National Academy of Inventors. Anna M. Leese de Escobar has a 30-year career in experimental physics research, cryogenic and superconducting materials and devices for electromagnetic systems and founded the Cryogenic Exploitation of Radio Frequency (CERF) Laboratory. She is a recipient of SSC Pacific’s Exemplary Achievement Award and its highest award, the Lauritsen-Bennett Award for Excellence in Science, the U.S. Navy’s Meritorious Civilian Service Award, SPAWAR Team Innovation Award and two Federal Laboratory Consortium Awards for Technology Transfer. She is author of 40 publications with over 255 citations, 18 U.S. patents issued or pending and 26 additional patent applications in process. Three of her inventions have been commercially licensed. She is senior member of IEEE and deputy chair of the SSC Pacific NAI Chapter. Escobar is a board member and chair of the U.S. Committee for Superconducting Electronics, and sits on the board for the Applied Superconductivity Conference. Paul Rosenthal is the Deputy Chief Communications Officer of the USPTO. He is responsible for the development and implementation of strategic communications for the USPTO in coordination with the U.S. Department of Commerce and the White House, and he supports and advises the Under Secretary of Commerce for Intellectual Property. He directs a team of media relations, speechwriting, social media, public affairs and audio-visual design professionals focused on promoting the agency’s goals and objectives. He also oversees the USPTO’s partnership with the National Inventors Hall of Fame and management of the National Medal of Technology and Innovation, which is issued by the president in a ceremony at the White House. 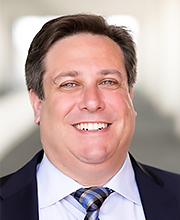 With more than 30 years’ experience in the communications field, Mr. Rosenthal joined the USPTO in 2010 and was charged with developing and growing the agency’s social media presence and improving agency outreach through online means. He was promoted to his role in 2013. Prior to joining the USPTO, Mr. Rosenthal worked for the Smithsonian Institution, as a Public Affairs Specialist for the Lemelson Center for the Study of Invention and Innovation at the National Museum of American History and as Web Content Manager at the National Museum of African American History and Culture. He has additional related experience from the United States Postal Service and from non-profit organizations. He is a former broadcast news journalist. Mr. Rosenthal earned a bachelor’s degree in public communication from The College of Saint Rose. Kalliat Valsaraj is LSU’s Vice President for Research & Economic Development, the Charles and Hilda Roddey Distinguished Professor in Chemical Engineering and Ike East Professor in Chemical Engineering. He is a Fellow of the American Association for the Advancement of Science, the American Institute of Chemical Engineers, and the National Academy of Inventors. In 2011 he was awarded the LSU Distinguished Research Master award. The professional societies of AIChE and ACS (American Chemical Society) awarded him the Charles E Coates award in 2012. He received the M.Sc. in Chemistry from the Indian Institute of Technology, Madras in 1980 and Ph.D. in Chemistry from Vanderbilt University in 1983. After a brief stint at the Arkansas Engineering Experiment Station of the University of Arkansas, Fayetteville, he joined LSU in 1986 as a research associate. He later became a regular faculty in the Cain Department of Chemical Engineering and progressed through the ranks to a tenured full professor. He served as the Department Chair from 2005 to 2011. 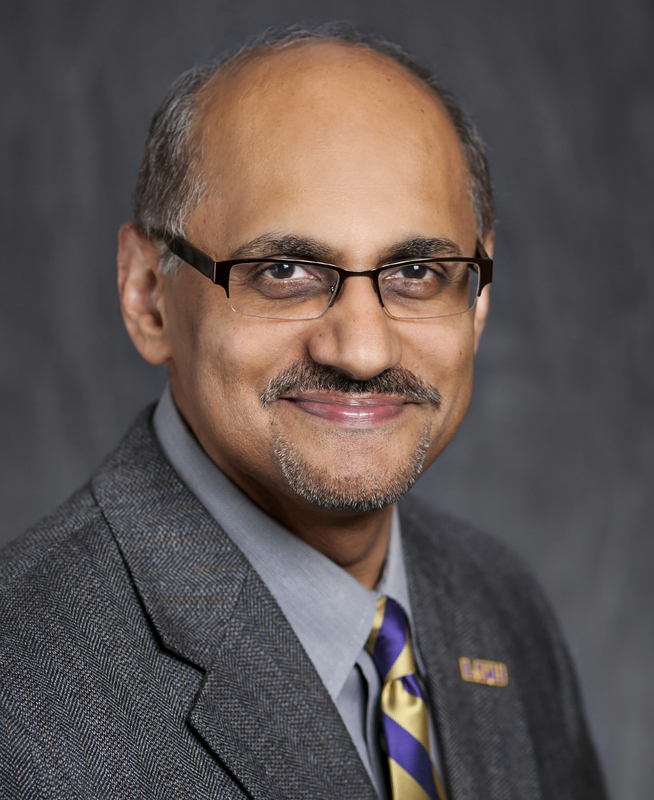 He has also provided service as a member of the Faculty Senate, Chair of the College of Engineering Policy Committee, and several other committees during his 32 years of service to LSU. His research area is in environmental chemical engineering. He has published over 200 referred papers, several books, holds two patents and has made over 300 research presentations worldwide.